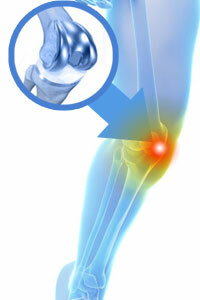 One option Pain Clinic NYC has available to treat severely damaged knees is knee replacement surgery. While this type of surgery is major surgery, it is often the best option for people who suffer extensive knee pain and damage. By relieving this pain with knee replacement surgery, doctors can help to restore a normal activity level to people who have exhausted their other options for pain management. Knee replacement surgery is just what it sounds like: The total replacement of the knee with artificial material. These materials can include metal and plastic. Partial knee replacements are also possible, in which only one part of the joint is replaced with artificial material. While the surgery comes with risks, such as clots, scarring and infection, and will limit certain activities, such as jogging, its benefits often outweigh its risks by dramatically increasing the patient’s quality of life.